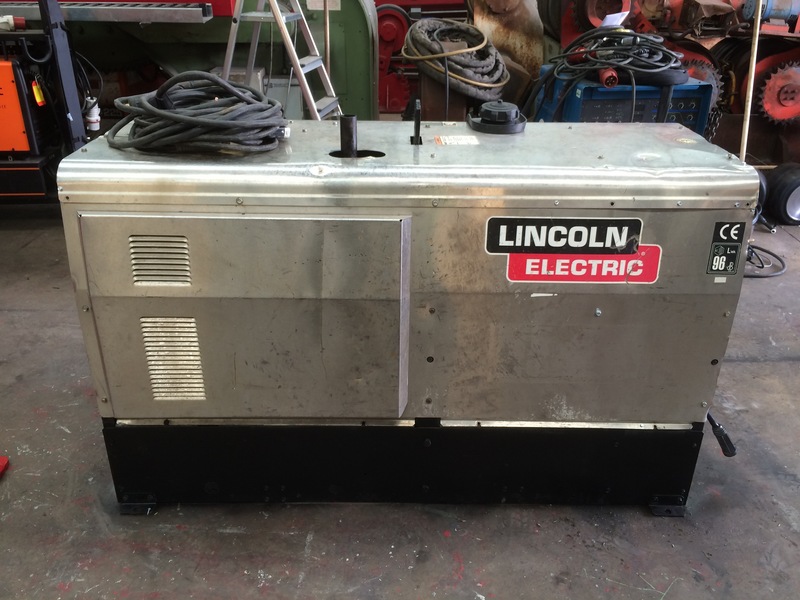 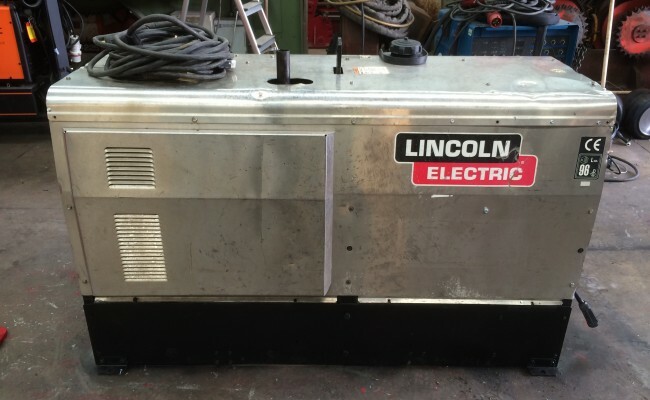 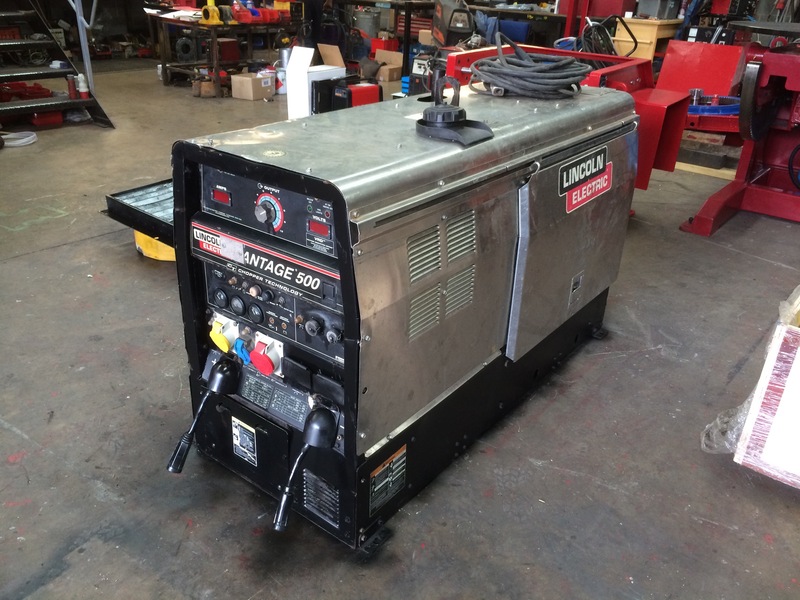 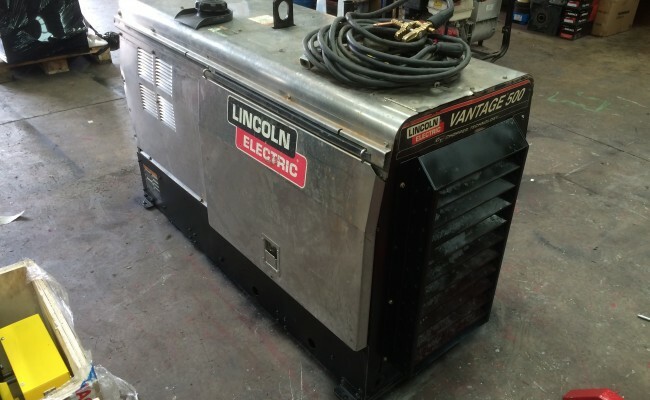 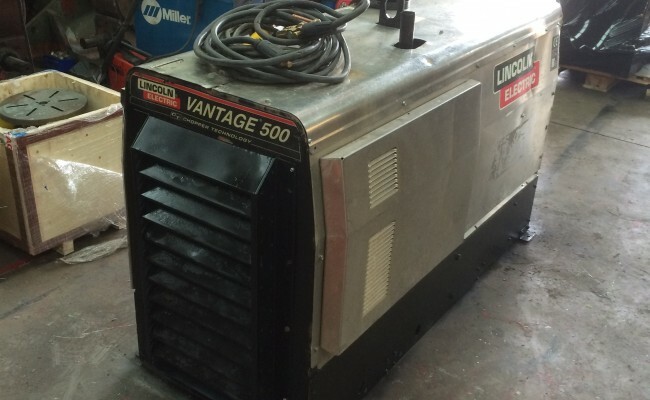 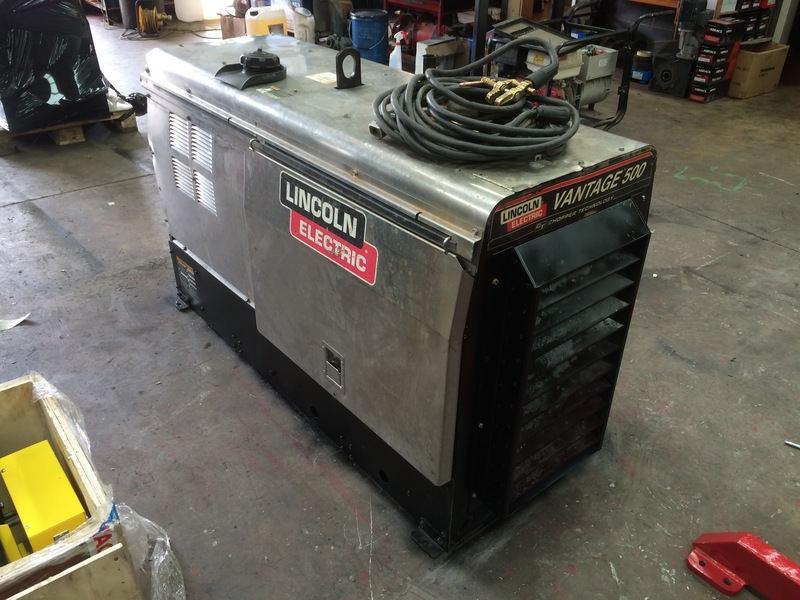 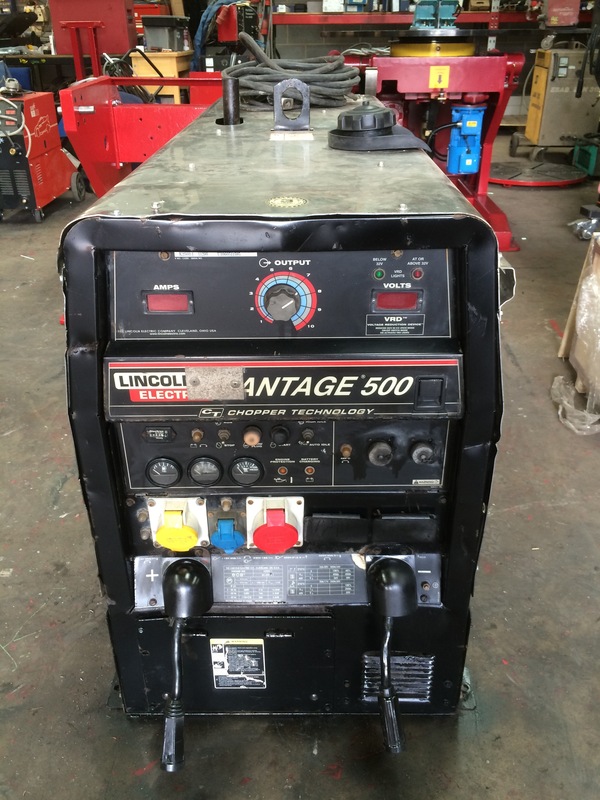 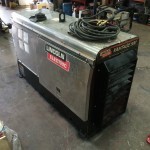 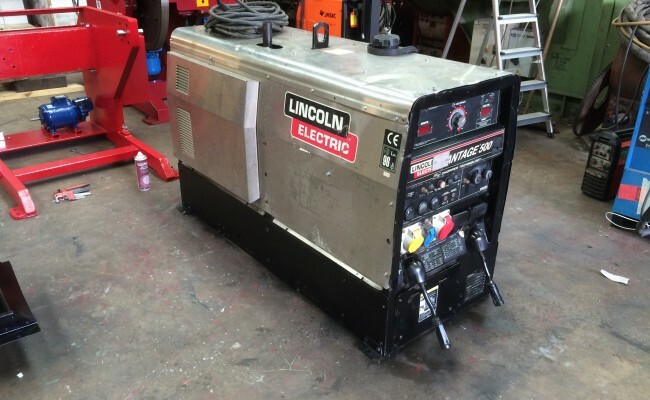 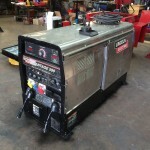 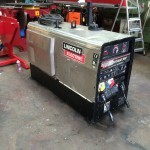 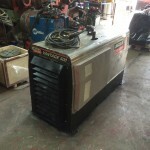 The Lincoln Electric Vantage 500 is the best welder generator in the world. 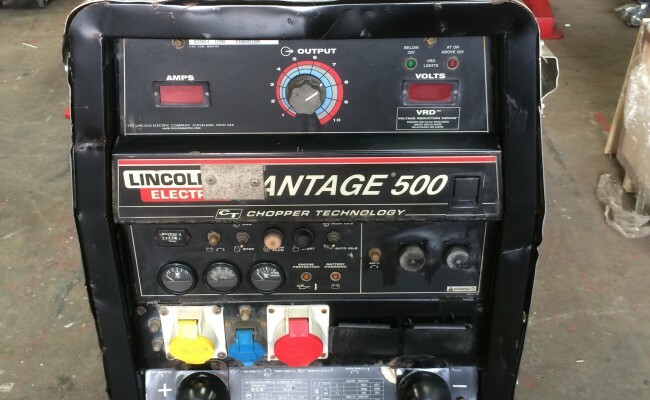 It can MIG weld, MMA stick weld, air arc and has 415V 32Amp output auxiliary sockets. 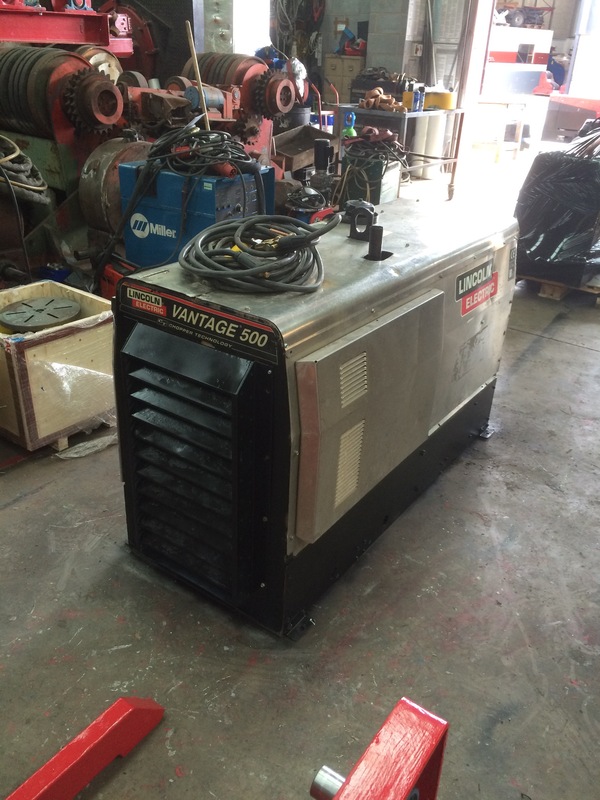 It is a very high quality and super rugged industrial grade machine, and we here at Spectrum have quite a few of them for high powered applications. 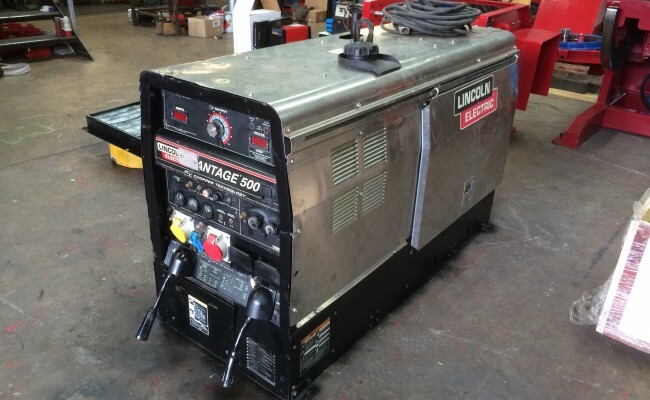 We'd recommend the Vantage 500 diesel welder generator over any other make and model. 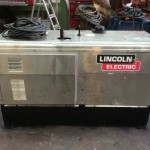 Our hire fleet of used Lincoln Electric have served us very well on site. 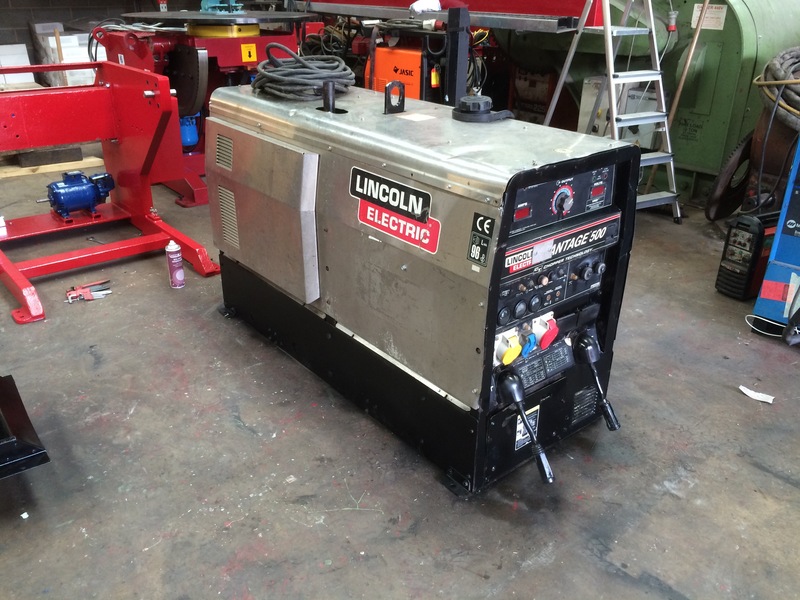 Also, all of our generators including the Lincoln Electric Ranger 305D have optional trailers that can be fitted for manoeuvrability and towing. 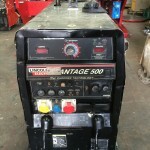 Having removed the optional 3 wheeled site trailer that the Vantage 500 can sit on, we have skid mounted this welder generator which makes life a lot easier for transporting when on euro pallets, and making it simple for fork lift trucks to manoeuvre them around site safely.